Indulge me if you will, this morning I was pounding away on the cross trainer at the gym, watching Saturday Kitchen. Glynn Purnell was talking to the great Suggs from Madness and Big Big Train’s ‘The Underfall Yard’ was playing on the iPod. Those who have heard the song Victorian Brickwork will know where I am coming from when I say that, as the scintillating and very moving brass section begins towards the end, time literally stood still and a warm feeling of contentment washed over me. I forgot about US elections and Brexit and all the other ills that seem to blight this world at the moment, all that existed for me at that very moment in time was the music and the music was everything. Music has the power to make our lives better and almost become tangible, a physical and substantive force for good and I thank whatever high power may be up there that it has become part of my life in a very concrete and irrefutable way. 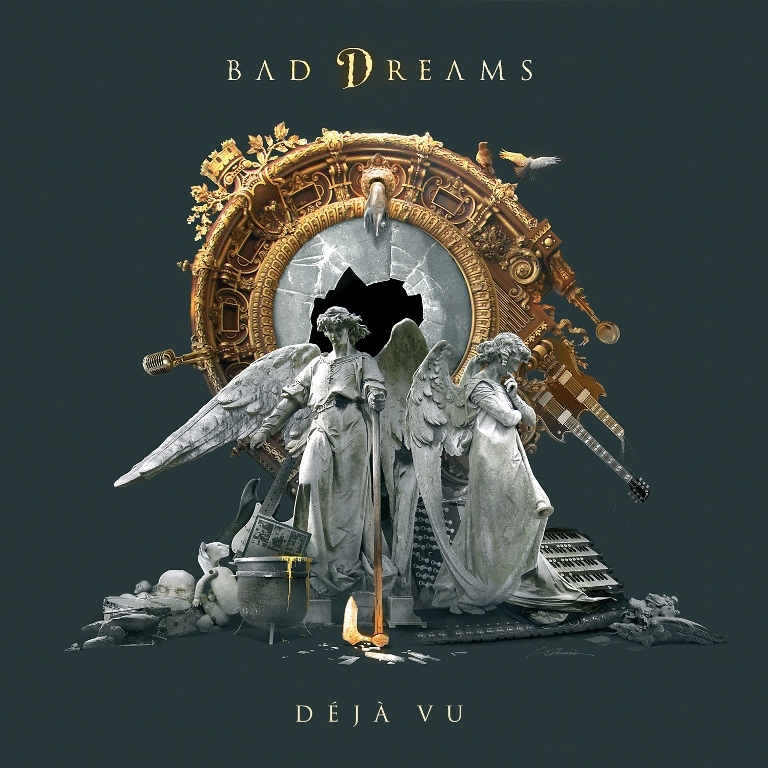 Today I am writing a review of the forthcoming new album from Argentinian progressive rock band Bad Dreams and ‘Déjà vu’ is a release that evokes similar emotions in this aging wordsmith. 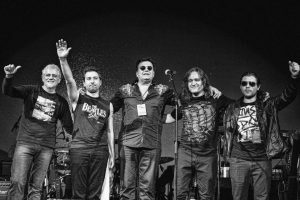 Bad Dreams consists of Gabriel Agudo (Lead vocals and guitars), Jorge Tenesini (keyboards, synthesizers and programming), Alex Calvera (Bass and Moog bass pedals), Ariel Trifunoff (Lead guitars and backing vocals), Fernando Cornejo, (Drums and backing vocals). 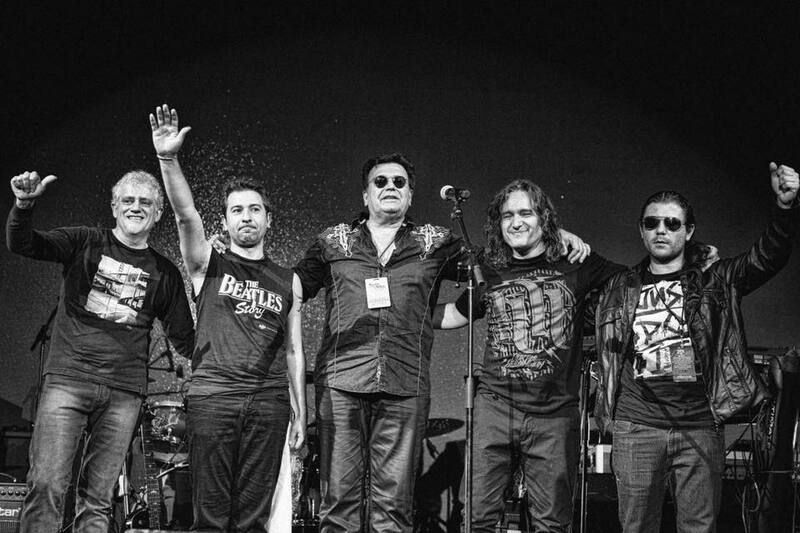 Bad Dreams is the first Latin American classic and prog-rock band to triumph outside the continent. Hailing from Argentina, and comprising five accomplished musicians, they began their prolific career performing Genesis‘ music for a period of more than 10 years, a venture in which they attained worldwide recognition by fans and Genesis members alike; being mentioned in the official website of Genesis and Steve Hackett. Wanting to spread their wings even further, they took a big undertaking out of their comfort zone in 2014, and released their first album with their own original music entitled “Apocalypse of the Mercy”. 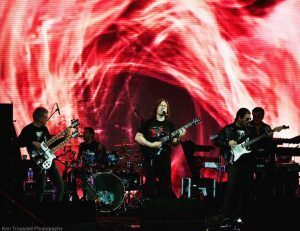 The album garnered worldwide recognition among classic and progressive rock fans, and Bad Dreams opened for Steve Hackett and played alongside Steve Rothery and his band during the South American leg of their world tour. 2015 marked a milestone in Bad Dreams’ history, when they became the first Latin American band to take part of the prestigious Cruise to the Edge celebration. After Cruise to the Edge the band played a single show in Miami, and later embarked in tremendously fruitful Central America tour, visiting Panamá, Guatemala, Honduras and El Salvador, before locking themselves up to start working in their sophomore album, entitled “Deja Vú”. 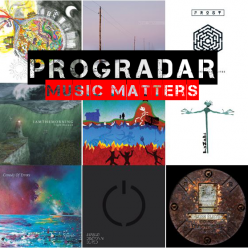 The new album will feature Steve Rothery as a special guest, playing an otherworldly guitar solo on the album title track. 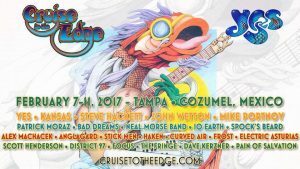 Bad Dreams have been once again invited to the next iteration of Cruise to the Edge to take place in February 2017, this time around again including the cream of the crop in the prog-rock scene. Opening track Samurai of the Rising Sun has a slow burning opening, all mysterious and enigmatic, setting the scene for what is to come with it’s strange, almost sci-fi feeling sound effects. The brooding guitar and keyboards ramp up the tensions even more before a staccato riff trades off against some rather nice swirling keyboards. Gabriel’s vocals begin and he has a really passionate vocal style that works brilliantly with the music, holding you in its sway. There’s a feeling of treading water, as if you are awaiting something but it is a very pleasant wait. The music just seems to flow along delightfully, it is immediately obvious that these musicians are technically very efficient and yet their playing also has huge amounts of soul. The song opens up with some gusto with fiery guitars and intricate keyboards and Gabriel’s vocals go up another level, this is classic progressive rock done with a large amount of flair. So, onto the title track Déjà vu and it is immediate from the first notes that you realise that this is something very special. Ariel’s guitar and Jorge’s keyboards are full of an intense passion and the music really invokes some heartfelt feelings in you. I was hooked from the first time I listened to this song, Gabriel’s voice is almost a lament, full of fervor and a melancholy intensity. This song should be listened to in a dimly lit room, headphones on and a glass of your favourite tipple, it would suit a dark and cold winter’s evening, keeping you warm against the chill outside. Fernando and Alex lead the rhythm section with aplomb before the track builds up with even more added fervor, the keys really driving things along and the vocals taking on more magnitude and severity. To me, it has touches of Fish era Marillion and when Steve Rothery starts to play his utterly mesmerising solo, that comparison is fully realised. His guitar seems to take on a life of its own and I just sat there completely astounded by its brilliance. That’s not to take anything away from Bad Dreams, this is just the cream on the top of a completely enthralling song. Fallen has a very intricate opening that blossoms into a really powerful track. The guitars, keyboards and rhythm section hit you with a forceful blast before things settle down in to a cryptically esoteric verse. The power returns on the compellingly dominant chorus. Think IQ meets Gabriel era Genesis and you wont be far wrong, I really like the way the song flows and Gabriel’s vocal takes on a a darkly authoritarian tone, as if he is reading from a dark book of secrets. Things move on in a tide of Delphian abstruseness, there’s a perplexing conundrum at play here and you feel that Gabriel is the main antagonist in a play that has a veil of secrecy around it. Ariel’s solo is thing of wistful delight, adding to the riddle posed, and insinuates itself into your psyche before the song bleeds out to a subtle close. Another serpentine opening introduces Song For Augusto, another brilliant nod to the classic progressive tracks of the 70’s, with a touch of Yes (Soon, if I’m being precise). It meanders around your mind before the winsome keyboards begin and give some direction with their captivating feel. The next part of the song has Pink Floyd writ large above it, the drums and keyboards are absolutely spot on and I can’t help but nod the skill on show. The vocals are emotive and impassioned and add another level of polish to this already impressive track. There’s an urgent feel to the next section, the guitar almost feels sentient as it prescribes every note and then the keys open up into a great organ sound before Ariel gives us a seriously poignant and powerful guitar solo that stays long in the mind after this track comes to an imperious ending. Moonlight is just over 3 minutes of Ariel Trifunoff’s enchanting acoustic guitar, a whimsical instrumental that has bucket loads of charm under its captivating exterior. A really engaging track that leaves a calmness in your very soul as it passes through your life. The upbeat feeling carries on with the cheerily satisfying A Trick Of The Wind, a song that is, to my ears, Bad Dreams’ homage to early Genesis. Gabriel even sounds a bit like Peter Gabriel and the guitars have a real Steve Hackett tone at their core. Underneath that charming exterior is a more serious side though and it shows its face now and again. The keyboards really come to the fore in the second half of the track and the interplay with the guitars is sparkling and gives a real polish and refinement to this cultivated song, Tony Banks would be proud. And so to the last track on the album. Frida is a graceful and tender love song full of sparkle and wit as it dances across your aural receptors. The vocals have a lightness and freshness to them and yet are still full of love and affection and the music just seems to dance lightly and leave gossamer like footprints wherever the notes land. This is a song that can lift any gloomy mood and replace it with a a feeling of contentment joy and hope, the sun is out, the sky is blue and the birds are singing, life is very good indeed. All music composed by Gabriel Agudo and Jorge Tenesini except Frida by Alex Calvera and Moonlight by Ariel Trifunoff. All lyrics by Gabriel Agudo except Frida written by Alex Calvera & Gabriel Agudo. Music arrangements by Bad Dreams.